Sid S. Champion (Sid I) was born on March 28, 1823, in Guilford County, North Carolina. During the 1830s, with his father, Willis Champion, and brothers, David and Nathaniel, the family moved to Hinds County, Mississippi, and settled on a farm near the now extinct town of Brownsville. The mother was deceased. David and Nathaniel were content to assist their father by working the farm but Sid had other ideas. He loved reading - particularly literary classics - and appreciated the finer things in life. By day he helped his brothers with the farm chores, and by night he read and studied. When Sid became of age, his father enrolled him in the Clinton school system. Sid loved the educational process and soon became proficient in literature and languages. His love of literature can later be seen in his Civil War letters to his wife, Matilda, as he often quoted excerpts from the classics. In 1846, Sid’s college education was interrupted when the Mexican War broke out along the southern border of Texas. 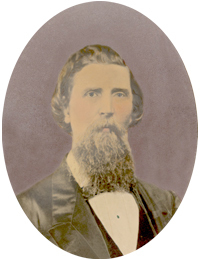 Like many of his colleagues, Sid joined the Raymond Fencibles, a local militia, and followed Jefferson Davis’ lead into Mexico. After returning from the war, Sid, now age 24, settled in Clinton and resumed his studies. 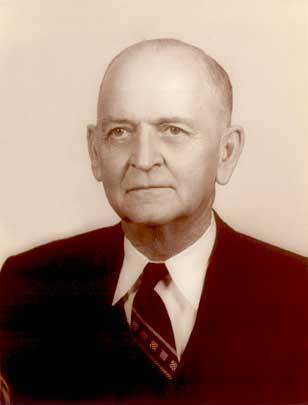 During this time, he also tutored other students and served as master of the Clinton Masonic Lodge. On November 29, 1853, Sid married Matilda Montgomery Cameron, a 26-year-old divorcee and single parent who was living with her wealthy parents, Eli and Mary Montgomery, at Brae Mar, the family plantation in Madison County. Matilda was a feisty, petite, redhead who was educated at an exclusive boarding school in Louisiana. After completing her schooling in Louisiana, Matilda, age 18, returned home and married Malcolm Cameron, the son of a wealthy planter. The marriage turned sour when Matilda discovered that her husband was loathsome, abusive and unfaithful. She filed for divorce and moved with her one-year-old son, John Ruthven Cameron, to Brae Mar to live with her parents. Matilda lived the life of a divorcee for seven years before meeting Sid Champion, a thirty-year-old bachelor. When Eli heard that his daughter was in love with and planning to marry the son of a dirt poor farmer, he opposed the idea. There was no way that Sid, a “plebian student,” would be permitted to marry his well-bred daughter. Eli’s complaints and criticisms fell on deaf ears since Matilda and her mother had nothing but praise for Sid. He was a Christian, an intellectual, a member of the Masonic Lodge, a connoisseur of the arts, and a patriot, having served his country during the Mexican War. With mother and daughter working against him, Eli was forced to give his blessing. As a wedding present, Eli deeded Sid and Matilda a large section of land located along the Southern Railroad line between Bolton and Edwards. The area was known as Midway Station (later Champion Hill) since the station was situated midway between Jackson and Vicksburg. The Old Jackson Road, the main route between Jackson and Vicksburg, also ran through the property. 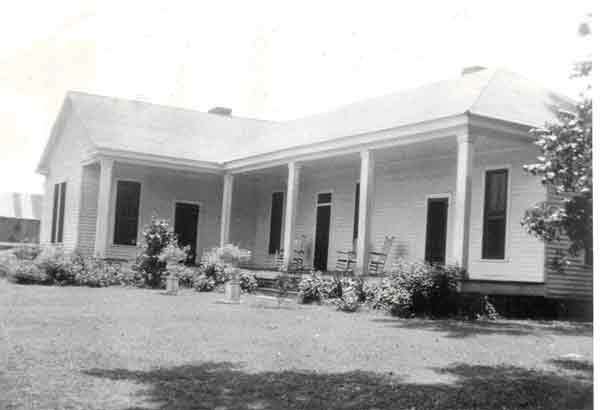 Sid and Matilda built a two-story white frame house adjacent to the Old Jackson Road, overlooking the railroad. In time, they acquired 65 slaves and began to build an extensive working plantation. The 1860 Federal Census listed Sid Champion as, “Age 35, a farmer, with real estate valued at $9,000 and personal estate valued at $25,405.” The personal possessions included carriages and well-bred horses. When the Civil War erupted in 1861, Sid, age 38, joined the 28th Mississippi Cavalry and left for Vicksburg to participate in the war. For the first time since their marriage, Matilda was left alone with four young children to care for and 65 servants to manage. With the help of the overseer, all went well until May 16, 1863, when the war came to Champion Hill. The Champion house was taken over by the Yankees and used as a Union hospital. From that point on, Matilda’s life would never be the same. Sid remained in Vicksburg with the 28th Mississippi Cavalry while she and the children returned to Brae Mar to live with her parents. Soon after the fall of Vicksburg, around July 8th, she learned that her beautiful house had been burned as General Sherman and his men marched back to Jackson. Matilda, now homeless, took the children to Rankin County where Sid purchased property to be used as a refuge. Sid remained in the Confederate army from 1862 – 1865, while Matilda and the children scraped out a miserable existence in Rankin County. In May 1865, after three long years of war, Sid was mustered out of the army and returned to his wife and children. They sold the Rankin County property and returned to Midway Station, now known as Champion Hill, to start over again. Using the money received from the sale of the property, they build a small, modest house at Midway Station on the south side of the railroad tracks. Here, they were able to enjoy four additional years of marriage before Sid succumbed to a bacterial infection and passed away on September 17, 1868 at the age of 45. Matilda, age 41, was left to work the land and raise the children. Following Sid's death, Matilda's life was one of triumph and tragedy. Her greatest triumph was how she saved her land - never giving in to the carpet baggers. Her tragedy was in losing her husband and all of her children before her own death in 1907; Sid Champion, 1878; William Balfour, 1876; Mary Elizabeth Champion Austin, 1880 (childbirth); Sid Jr., 1897 (Yellow Fever) and Dr. Wallace Champion, 1901. 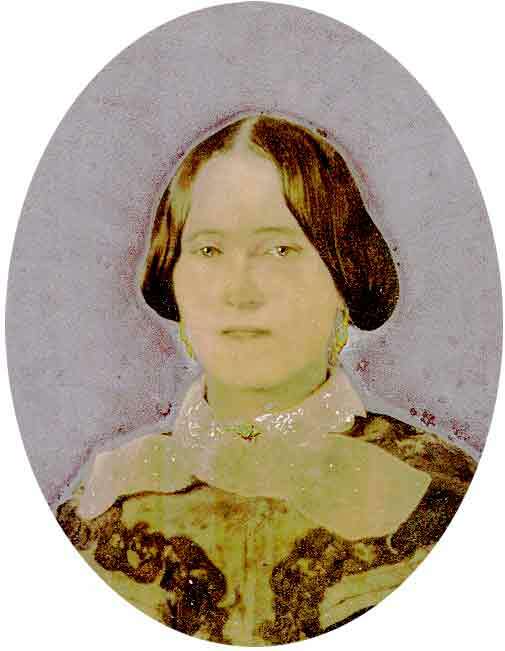 In later years, Sid III, Matilda's only grandson commented on trials his grandmother faced during her life: "The story of how Matilda, the woman who had been reared to be the Grand Dame lived through reconstruction, reared her family and saved her land is one of fortitude and courage that surpassed anything that Sid had done in Vicksburg or in Georgia." at Midway Station. Midway Station was named appropriately since the station was situated midway between Jackson and Vicksburg as well as midway between Edwards and Bolton. Mary Matilda Champion, the only daughter, was born in 1855. At the age of 21 she married C. R. Austin, a local widower. Little if anything is known about him. In January of 1880, Mary Elizabeth, age 24, died in childbirth. Burial site unknown. Wallace Montgomery Champion, the eldest son, was born in 1856 and schooled in Cincinnati to become a doctor. Wallace, a bachelor, died in 1901 at age 45. 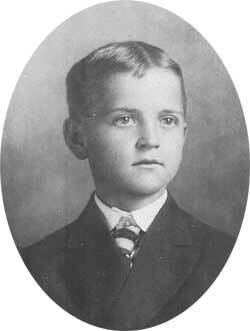 William Balfour was born in 1859 and passed away in 1867, age 8, from a respiratory infection. He was the first to be buried in the Champion Family Cemetery. Sid Champion (Sid II) the youngest of the children, was born in 1861 and died in 1897 (age 36) as a result of the Yellow Fever epidemic that struck Edwards prior to the turn of the century. Sid and his wife had one son, Sid Champion III. Sid S. Champion II (Sid II) was born in 1861. One year later, his father joined the Confederate Army and left for Vicksburg. In 1865, Sid II was reunited with a father that he barely remembered only to lose him in 1868 when Sid I died of a bacterial infection. Sid II was much like his father in that he was an intellectual and enjoyed the finer things of life. He began to reap the benefits of reading all of his father’s books and any other books he could find. At the same time, he was schooled by his mother. Since Balfour had passed away at the age of eight, Sid and his older brother, Wallace, were the only ones left to help with the chores. As Sid and Wallace became older, Wallace wanted to attend medical school in Cincinnati. Matilda took the money she had saved and gave it to Wallace to pay for his education. In turn, she made Wallace sign away all rights to Champion Hill which would someday be deeded to Sid II. Sid and Olivia were expecting their first child when Sid became a victim of the 1897 yellow fever epidemic that ravaged Edwards. He passed away at the age of 36 and was buried in the Edwards Cemetery. The death of Sid was quite a blow to everyone. Olivia was left without a husband to help raise the child and Matilda was left with the responsibility of saving Champion Hill. 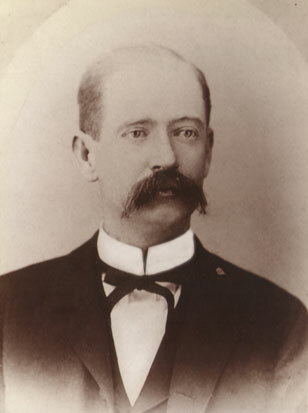 Four years later, in 1901, Dr. Wallace Champion, Matilda’s eldest son, passed away at the age of 45. In the end, all that Matilda had left was her daughter-in-law, Olivia, and her grandson, Sid Champion III. Matilda passed away in 1907 at the age of 80, leaving everything to her beloved grandson Sid III who was only nine years old. Sid S. Champion (Sid III) was born to Olivia Champion in 1898 and literally grew up at Matilda’s feet, rocking in her lap and listening to her stories of Champion Hill of long ago. For Matilda, having lost her husband, her daughter, and two grown sons, young Sid was a constant source of joy. When Sid turned of age, he decided to attend Mississippi Agricultural and Mechanical school in Starkville in order to learn the ends and outs of farming. He returned to Champion Hill ready to practice what he had learned - crop rotation and the facts necessary to becoming a successful planter. The 1930s and 1940s were difficult, especially to farmers. Sid had the responsibility of keeping Champion Hill solvent during the Great Depression which lasted from 1929 until World War II. Sid married Ruth Cosner and they made their home at Champion Hill. They had two children, William (Billy) Montgomery Champion (named for Matilda Champion’s brother) and Sid S. Champion. Both grew up at Champion Hill before leaving for college. Billy graduated from law school and married Annette Johnson from northern Mississippi. Their children, John Champion and Laura Champion, also became lawyers. John, a District Attorney, practices in northern Mississippi, while Laura, a commercial real estate lawyer, practices in Atlanta. Sid III died in 1957 at the age of 59 and is buried in the Edwards Cemetery. Ruth passed away in 1994, age 94, having outlived her husband by thirty-seven years. Sid’s mother, Olivia Champion Birdsong, passed away in 1965 (age 89) and is buried in the Edwards Cemetery between her two husbands. 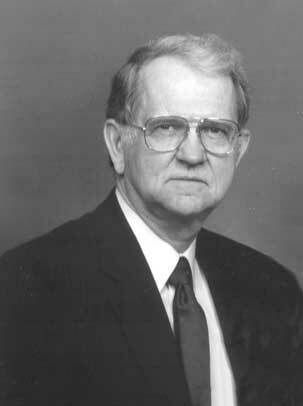 Sid S. Champion, Jr. (Sid IV) grew up at Champion Hill. He graduated from Georgia Tech with a degree in Industrial Engineering. 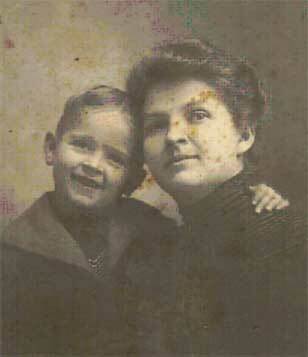 While in Georgia, Sid met and married Mary Lipsey who was working for Delta Airlines in Atlanta. The marriage produced two children: Sarah Anne Champion Puckett and Sid Johnson Champion. Sarah Ann lives in California where she is the manager of a prominent vineyard. Sid Johnson Champion (Sid V) lives with his family in Clinton. Sid Champion IV passed away in 2002 at the age of 74. Mary Lipsey Champion, Sid’s widow, her brother-in-law, Billy Champion and his wife Annette are the last of that generation of Champions. Although Sid Johnson Champion (Sid V) was born in Jackson and grew up in the city, he spent most of his younger years roaming the Champion Hill battlefield. His great- great grandmother’s old home became a sacred place - a place where he looked forward to spending time and hearing about the history of his family and the role that his great- great grandparents played during the war. Sid V not only looks much like great-great grandfather, Sid I, but also inherited his interest in music and the arts. Sid, an accomplished pianist, graduated from the University of Southern Mississippi with a degree in music. 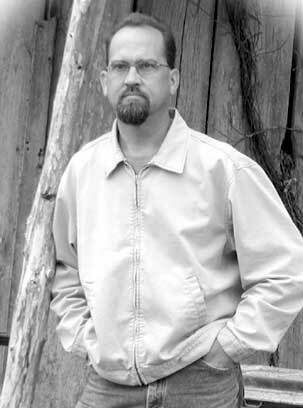 He has taught in the Jackson School system and plays piano for the Pocahontas Baptist Church in Clinton. Sid is married to Janet Gunn and they had a son, Sid Wesley Champion who was born Sept. 12, 1992, and passed away on Sept. 19, having lived one week. They also have a daughter, Lauren Necole. Today, Sid is the “keeper of the Champion treasures” and he takes great delight in giving tours of the family property. Although the war took most everything that Matilda and Sid owned, there are still quite a few irreplaceable treasures left: the mush pot that the Union army used to make soup for the wounded soldiers who remained in Matilda’s house after Grant’s army moved on to Vicksburg; Matilda’s dining room table that was used by Union surgeons to perform amputations; the plantation bell; personal memorabilia once belonging to Matilda such as a pair of her shoes, Matilda’s photograph album which contained photographs not only of family members but also of Confederate and Union generals; letters from Union veterans giving thanks to Matilda for her hospitality after visiting Champion Hill to search for the graves of their loved ones; and the 140 letters written between Sid and Matilda between 1862-1865 as the family was separated due to the war. The history of the Champion family during the Civil War is one that reads like Gone with the Wind - revealing the tragedy of a family caught in the ravages of war and in the end losing nearly everything except each other. Since the death of Sid and Matilda Champion, their descendants have faced tragedy and triumph but the land known as Champion Hill has been a unifying factor. Five generations of Sid Champions have kept the family heritage intact and now Sid V has the opportunity and ability to share this heritage with all who come to visit one of the South’s most famous battlefields - Champion Hill.